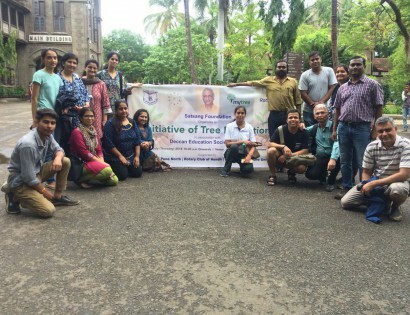 The Thrissur Chapter of the Manav Ekta Mission’s MyTree initiative organised a planting ceremony, commemorating the Diamond Jubilee of Kerala’s formation as a state, on 11 November 2016 at Vilangankunnu, Thrissur. The Hon Chief Minister of Kerala, Shri Pinarayi Vijayan visited the ‘Manav Ekta Circle for Human Oneness’ and planted the 68th Red Sandalwood sapling at the venue in the presence of prominent dignitaries, students, and the general public – thus actively supporting and promoting the cause of interfaith harmony, human oneness, and sustainable living. The initiative was jointly powered by the Satsang Foundation, Vilangan Truckers, and DTPC Thrissur. 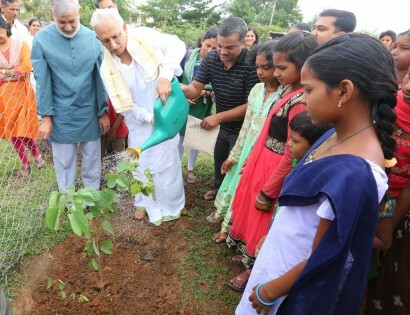 The Chief Minister then asked the assembled students whether they would plant trees to which they answered in the affirmative enthusiastically. 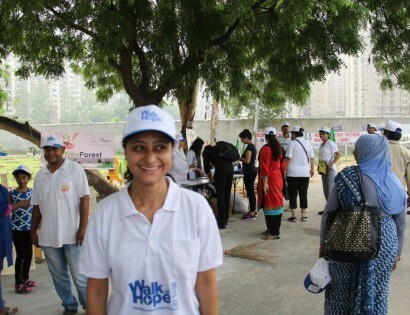 He then told the audience that this indeed is the spirit required to embark on such a noble initiative. KV Abdul Khader, MLA; Anil Akkara MLA; Mayor Ajitha Jayarajan; Kalamandalam Kshemavathy; K Radhakrishnan District Secretary, CPI(M), P A Madhavan, DCC President; M S Sampoorna, State Vice President BJP; and C H Rashid, District President, IUML were among the dignitaries who participated in the ceremony. 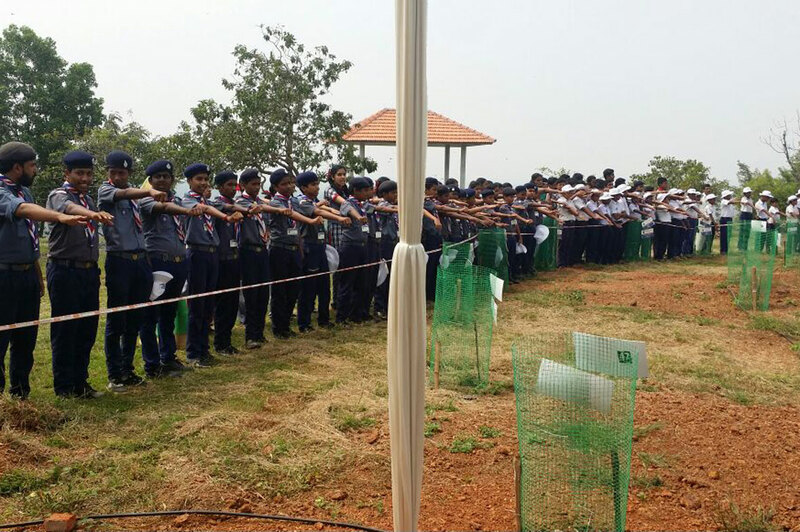 200 NSS student volunteers from 7 schools took the pledge to protect Mother Nature. 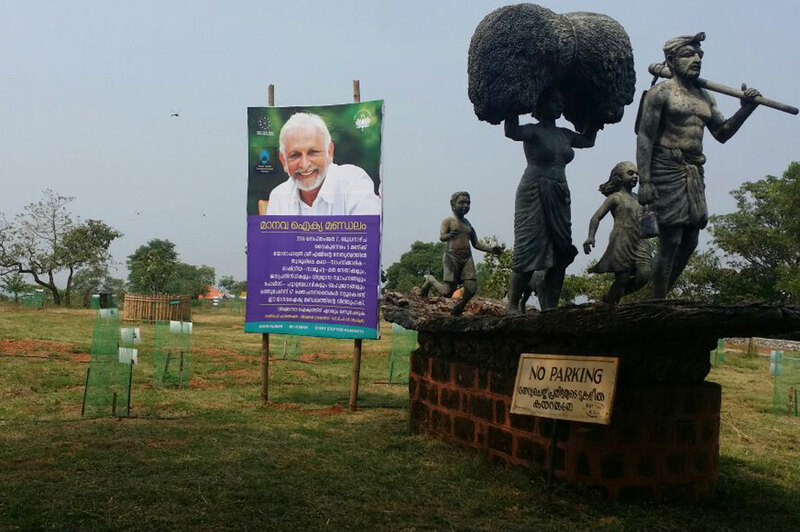 The ‘Manav Ekta Circle for Human Oneness’, the initiative by The Thrissur Chapter, features Red Sandalwood (Rakta Chandanam) saplings planted by 67 prominent social, cultural and religious leaders, along with Sri M on 7 September 2016 . 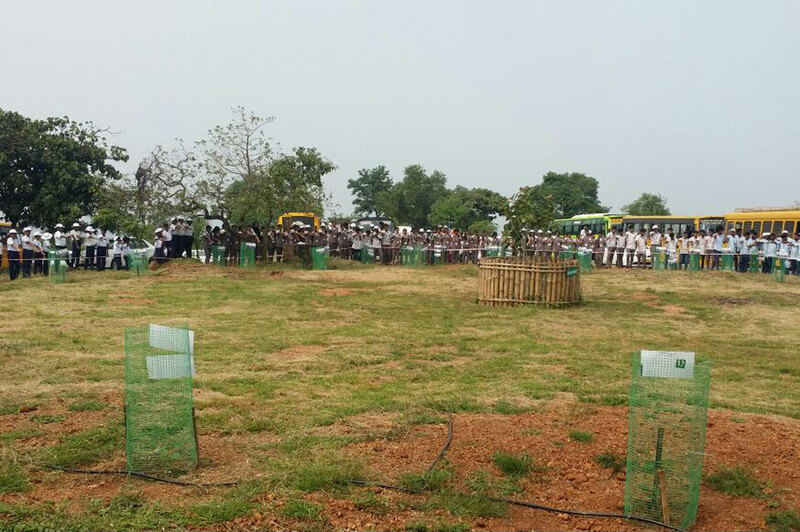 The 67 saplings were placed in a circular shape to be called the Manav Ekta Circle. The thought behind this is to welcome people, of all communities and beliefs, to come together at this point, shedding their outwardly differences. 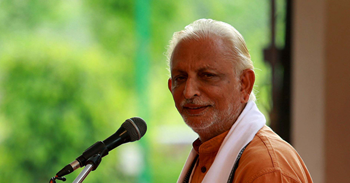 This unique approach will eventually evolve the Manav Ekta Circle to a Sustainable Central Point of Oneness (SCPO) – spreading the message of peace and harmony, and influencing minds to create a united front against all divisive undercurrents.